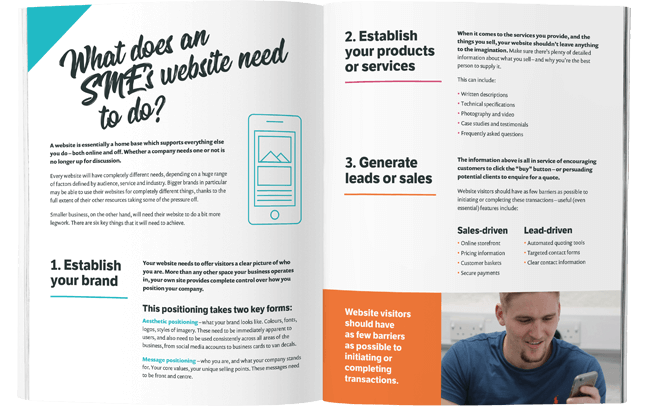 A guide for any small business looking to take the first steps in online marketing and lead gen.
Our free resource runs through what you need to do, and how you need to do it. We hope it helps to spark inspiration, and point you in the right direction – so dive in and get started! For many smaller businesses, providing your service is not just your core focus – it’s your only focus. Marketing yourself is often an afterthought, and word-of-mouth tends to drive leads and sales. But getting started with digital marketing isn’t as time-consuming as you may think, and even simple activity can start to make a difference. 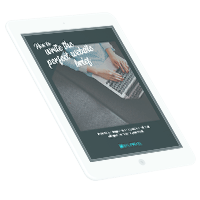 This ebook walks you through those first steps – what you need to do, and how to start doing it. 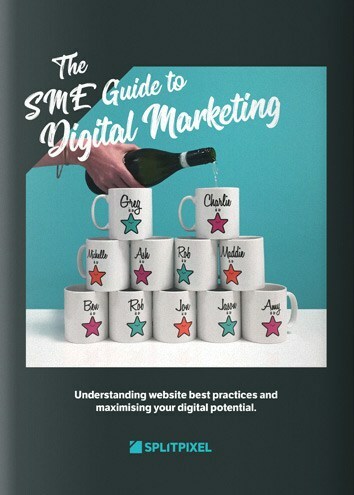 • Your biggest digital marketing tool – your website – and what it should be doing. • How to develop a digital marketing plan, including identifying the right channels to market in. • Understanding your competitors’ activity, measuring your results, and growing your digital reach. Just fill in your details at the bottom of the page to download the free guide! Hi! We’re Splitpixel Creative, a digital agency with 10 years of experience in helping businesses of all sizes develop their digital presence. We’ve guided hundreds of small businesses and startups through their first steps in web and digital marketing, or provided the support needed to take things up to the next level. We’re a full-service web design, development and digital marketing agency, and an SME ourselves. It’s this wide-ranging experience and expertise that has informed this guide! • We’re a small team – just 11 people! – so we understand the challenges SMEs face. • Integrated approach – we design and build websites with digital marketing growth in mind. • Results and analysis-driven approach to improving leads and conversions. It might seem like it will just be jargon-filled, and there is some involved. But we explain everything in straightforward terms. It doesn't ramble on – it's a pretty quick read aimed at pointing you in the right direction and sparking some inspiration. Put together by marketing specialists from our team, it's informed by 10 years of experience launching businesses online. Casual readers and future clients alike have told us that it's been useful, and we hope you find something helpful inside. We continue to see robust evidence of Splitpixel’s influence on our enquiries and revenue. Last month was our biggest month in over 11 years in the industry, and last year saw double digit revenue growth compared with the year before.